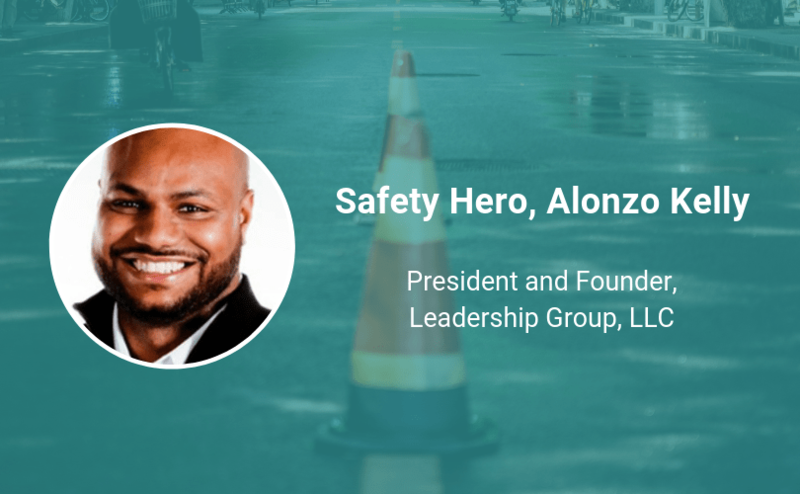 Alonzo Kelly, President and Founder of Leadership Group, learned the value of putting customers first early-on in his career. Today—with many other lessons he’s learned—he showcases what it means to be an authentic safety leader who has a servant leader mindset. Keep reading to see the mantra he lives by, and why he says safety is a verb, not a noun. My first official job was working at Burger King as a teenager. I learned first and foremost that the hardest working people did so standing up rather than sitting down. I also learned the importance of customer service, that the customer is always right (until they are misunderstood), and that speaking slowly and clearly into a microphone eliminates 90% of errors in orders. Accountability, Humility, Courage, and Empowerment. If any of those are lacking, we are ineffective in our ability to lead. I would change how people see and respond to safety. Safety is a verb not a noun! That word requires action. To say we believe in something and do not behave accordingly is a sign that we’ve missed the true essence of the word. This would be no different than Love. It is one thing to say and label something as love and quite another to actually behave lovingly.